Binge Eating disorder is a severe eating disorder characterized by eating excessive amounts of food. Oftentimes, people who suffer from binge eating disorder experience lack of control, sense of guilt and distress during and after an episode. Other symptoms of binge eating disorder include extreme concern with weight and body shape, stomach cramps, fear of eating in public and hoarding food. Binge eating may lead to serious health complications such as obesity, high cholesterol, sleep apnea and heart disease. Various treatment methods are offered by binge eating disorder clinics to help people who suffer from it to cope and eventually survive the disorder. One of the treatment methods used is journal or writing therapy. Journal therapy is a form of expressive therapy commonly used by therapists to treat different illnesses, including eating disorders. Therapists use journal therapy to help patients to express and reflect upon their emotions and thoughts in writing. Journaling allows patients to vent out their worries, insecurities and frustrations and reduce the intensity of such feelings. This provides a huge sense of relief which helps reduce feelings of depression, anxiety, and trauma. Journaling creates the opportunity for patients to find solutions to their problems and uncertainties. Writing down one’s thoughts allows patients to reflect and put their thoughts in order. It helps patients to think more objectively, analyze their problems and see things from a different perspective. Journal therapy provide patients with a means to break away from emotional. When patients write about their feelings, they become more aware of their tendencies. Gaining a sense of self-awareness helps patients take better control of their impulses. This letter allows a patient to express in writing about emotions and problems that they may be hiding and afraid to acknowledge. This type of letter may serve as a motivation to keep a patient focus on getting better so they can achieve his goals. It may include the patient’s dreams and aspirations. This letter may also describe how his life would be like without the disorder. Freewriting exercises can be composed of words, phrases, sentences and may contain errors in spelling and grammar. Therapists provide patients with a specific word to write about. Patients are given the freedom to write anything that comes to their mind, be it past experiences, plans for the future or what they like and don’t like. It is normal for a patient to experience slips or relapses during recovery. When this happens, patients are encouraged to write about what triggered the relapse and how they felt when it happened. This allows the patient to think about a different way to react should they face a similar situation in the future. Journal therapy is an effective way to help patients deal with harmful feelings and inhibitions in a safe environment. 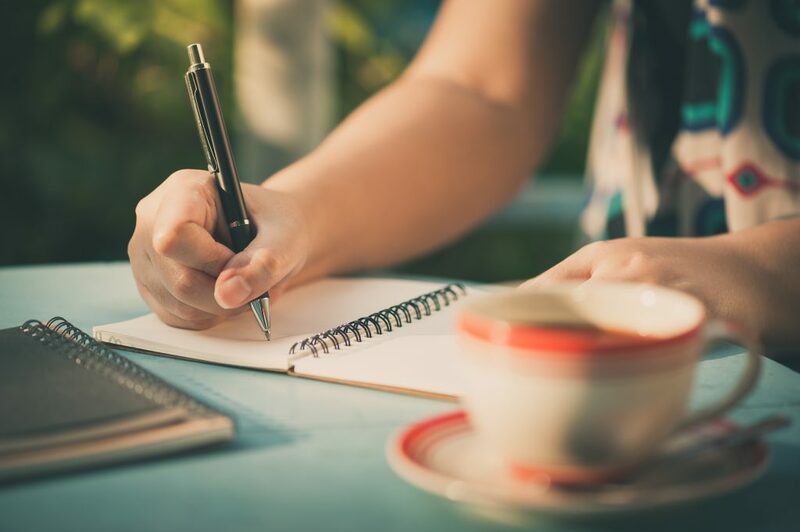 Through journal therapy, patients are able to express their thoughts and emotions more comfortably, giving them time to develop self-awareness, and gain a clearer perspective about their situation.